So I know I look young for my age *blush* but I started my crazy life growing up in the wonderful era of the 1980’s and 90’s. And it was pretty fun! (Well of course it was fun- I didn’t have to pay any bills or be a responsible ‘adult’ yet). I grew up with 2 parents & a cool lil’ sister, in the Blue Mountains of Australia, where my personal motto was “Cool Times Always” . Popular games included rollerskating up and down my verandah & playing roller-limbo to M.C. Hammer, trampolining without protective nets or padding (and surviving! ), playing with Barbie dolls (while wishing I also had a Jem doll), collecting Teenage Mutant Ninja Turtle’s movie cards, crushing on Matt Tracker from M.A.S.K. and dreaming about finding the Mysterious Cities of Gold. In short, I had an epic childhood, full of daydreams, literal magick (-a story for another time-), creativity, and my over-active imagination. I wanted to be a writer, and a fashion designer when I grew up- both life dreams which I have accomplished to varying degrees of initial success. So I guess I’m pretty fortunate that while I was daydreaming my weekends away and building little homes for the fairies in my garden I also had supportive parents who taught my sister and I that we could be and do anything we wanted, and encouraged us to follow our dreams and go after what we wanted in life. (Listening to daily personal development tapes from the network marketing company my parents were involved with in the 90’s also helped to cement the whole “Dare to Dream!” motto which helped influence me greatly. In recent years I’ve been digging up some of the old 80’s Cartoons I loved as a kid and have been re-watching them for old time’s sake. (Thankyou YouTube and Torrents!) Some are glorious and some are more terrible than I remember, but most are a mixture of both. All of it is good! In an earlier incarnation of my blog, years back, I wrote a few nostalgia posts about some of these 80’s cartoons I loved (such as M.A.S.K., Ulysses 31, and Mysterious Cities of Gold) but they were just short intros, and since I’ve had an opportunity to watch a lot more since then I think I can do better! 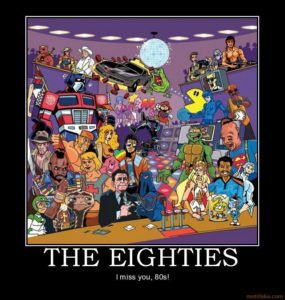 So, in some of my upcoming posts, get ready to fly with me on a nostalgic trip down memory lane into 80’s cartoon land. It’s not just fun and nostalgic, but it’s also relevant because a lot of these shows inspired the retro-futuristic vibes in my most recent fashion designs!